Biography: Russell J. Speidel was raised in Wenatchee, Washington. He received his Bachelor’s Degree in History from Stanford University, his law degree from Willamette University and a Master’s Degree in the Laws of Taxation from Boston University. 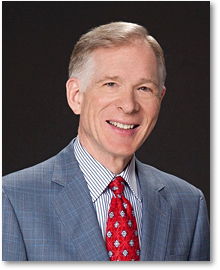 For over 30 years Mr. Speidel has emphasized estate planning in his law practice. Mr. Speidel is a past president of the Chelan-Douglas County Bar Association. He was the founding president of Chelan-Douglas County Volunteer Attorney Services, which provides pro bono legal services to low income people in Chelan and Douglas Counties. He organized and chaired the first Washington State Bar Association statewide project of Law Week “A Lawyer and Judge in Every School” and received the WSBA President’s Award for his successful efforts in that endeavor. Mr. Speidel and the Chelan-Douglas County Bar Association were co-recipients of the Charles A. Goldmark Distinguished Service Award from the Legal Foundation of Washington. “In consideration of their crucial and time consuming role in reshaping the volunteer attorney program in Chelan and Douglas counties into a vital and important service”. He has also received the Wenatchee Business Journal Readers’ Choice Award for Best Lawyer. Honors and Awards: Mr. Speidel holds the top rating possible, AV, in the Martindale-Hubbell Law Directory, and has been accepted into the Martindale-Hubbell Bar Register of Preeminent Lawyers. Mr. Speidel has been named a Super Lawyer by Washington Law & Politics Magazine in each of the years 2007 through 2013. He was also been rated as “superb” by Avvo.com, an independent and free legal directory website that profiles and ranks attorneys for consumer use. Community Involvement: Mr. Speidel is a member of the state-wide board of directors of the Northwest Justice Project (NJP), Washington’s publicly funded legal aid Program. NJP provides critical civil legal assistance to thousands of low-income people in cases affecting basic human needs. The annual budget of NJP exceeds $20 million. In addition, Mr. Speidel has served for over 20 years on the Advisory Board of the Wenatchee Corps of The Salvation Army. Admitted to the Bars of: Massachusetts, 1974; New Hampshire, 1977; U.S. District Court, District of New Hampshire, 1977; U.S. Court of Appeals, First Circuit, 1980; U.S. Supreme Court, 1981; Washington, 1982; U.S. Tax Court, 1984; U.S. District Court, Eastern and Western Districts of Washington, 1986. Mr. Speidel is a member of the Wenatchee Rotary Club. He is a member of the Washington State, Massachusetts and New Hampshire Bar Associations. 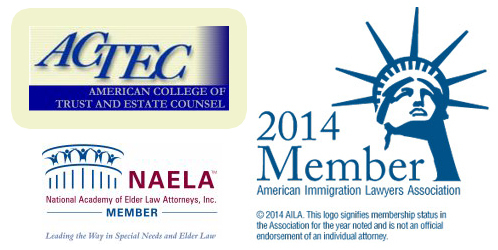 Mr. Speidel is also a member of the National Academy of Elder Law Attorneys (NAELA), and a Fellow of the American College of Trust and Estate Counsel (ACTEC). He is a member of the American Immigration Lawyers Association. The Supreme Court of Washington does not recognize certification of specialties in the practice of law. A certificate, award, or recognition is not a requirement to practice law in the state of Washington.